A complimentary upgrade to Continental Breakfast is served only for online customers. The terraced white houses of Belgrave Road give the street an elegant appearance of past times. Our hotel, a refurbished modern Victorian building, will allow you to stay in the city of Westminster, in the heart of London, and enjoy our budget prices specially designed for both city breaks and business travellers. 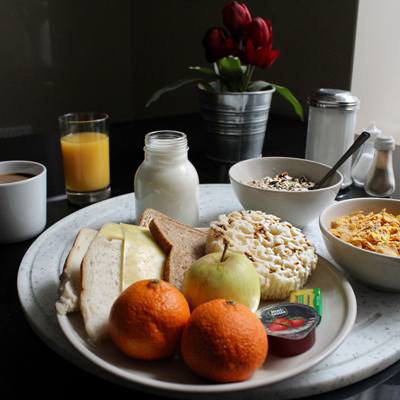 The Huttons Hotel offers you complimentary breakfast all mornings: an easy way to start your day on the right foot. In addition, each room have a courtesy kettle and coffee maker, so you can have a peaceful rest after a long business or leisure day. Get the best price for your booking with our non refundable rate. Book through our official website and get a 10% discount. Book your stay with 30 days in advance and get an incredible price for your reservation. With our non-refundable rates you will save up 10%. If you already know the dates of your visit, book with 90 days in advance and enjoy an exclusive price.